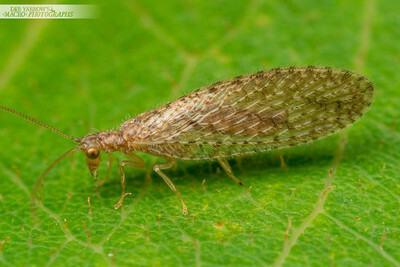 A small brown lacewing with fuzzy wings. Kyogle, NSW. 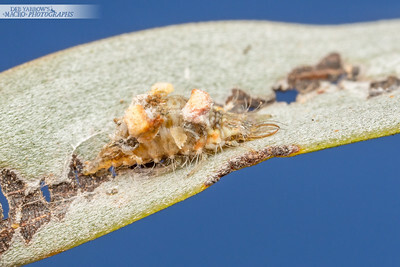 The biggest lacewing larva I've ever seen at almost 10mm. 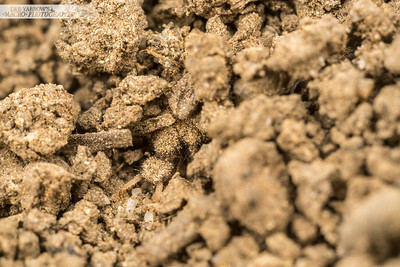 Rather than dig a pit to catch ants it was hidden just under the sand and was only detected when prey happened upon it's lair. Woodgate, Qld. 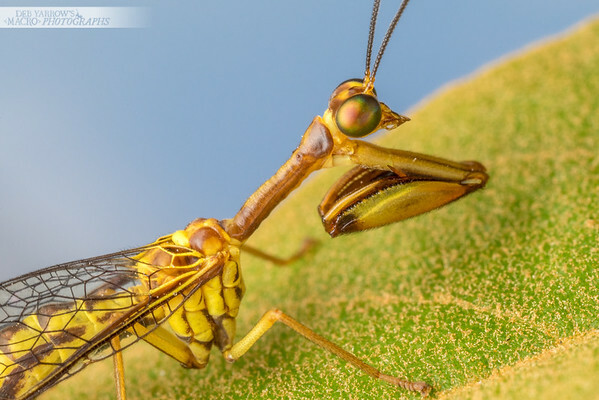 Portrait of a mantis lacewing. Oxley Creek, Qld. 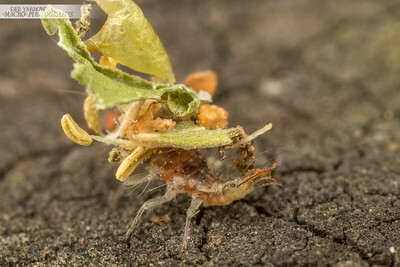 Baby lacewing collects organic matter from the edge of a leaf to add to the carefully arranged camoflage on its back. Oxley Creek, QLD. 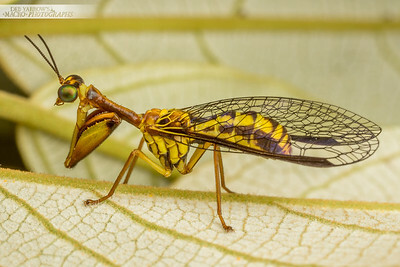 This particular lacewing uses discarded organic matter such as leaves for camouflage. Oxley Creek, Qld. The first Owlfy I've managed to photograph, found on a very hot day near the beach. Woodgate, QLD. 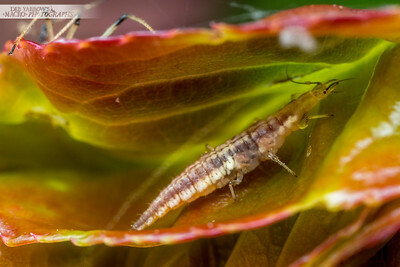 Hiding in unfurled rose leaves, Lacewing larva is preying on rose aphids. Kyogle, NSW. Camouflaged with organic matter. Pile Gully, QLD. 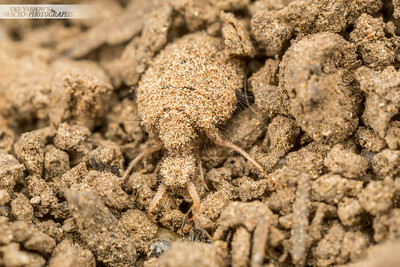 Ant Lion reverses back into the dirt after it's sand trap is disturbed. It doesn't seem necessary to hide underground when you are this well camouflaged. Oxley Creek, QLD. 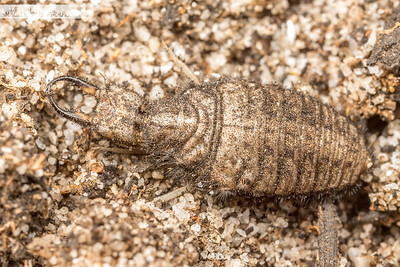 Ant lion backs away from it's prey after being disturbed by your truly. Oxley Creek, QLD. Hapless Technomyrmex ant falls prey to ant lion's carefully crafted sand trap at the bottom of a tree. Oxley Creek, QLD. 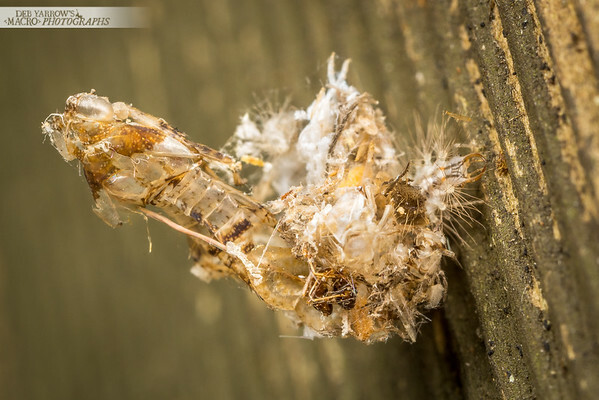 Determined lacewing baby carries it's enormous load up the side of a timber railing. This stuff looks light weight but to lug it up a vertical surface? 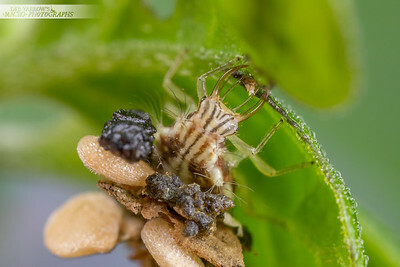 Good effort lacewing baby. Mt Ommaney, QLD. 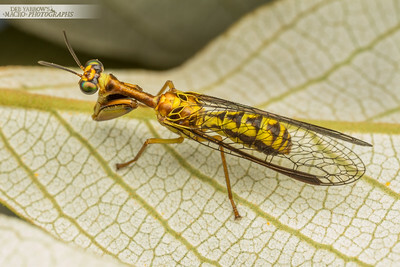 Mantid lacewing takes shelter from the wind. 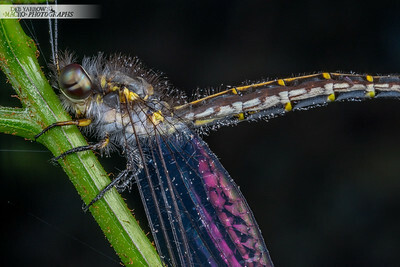 I imagine it is hard for these to fly on a windy day. Oxley Creek, QLD. 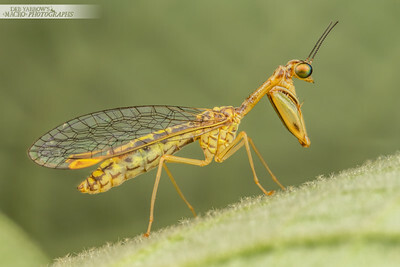 Mantid lacewing. Oxley Creek, QLD. 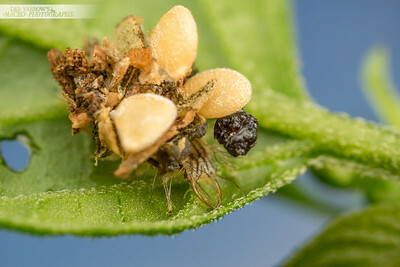 Lacewing larva manipulates silk that seems to be used to hold together its camo crud. 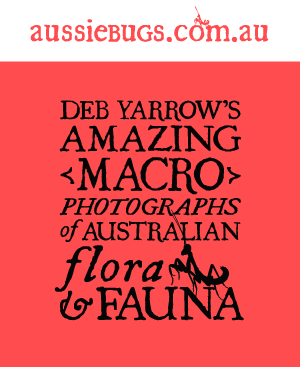 This camo includes plant matter and you can even see a couple of pollen filled flower stamens. Oxley Creek, QLD.